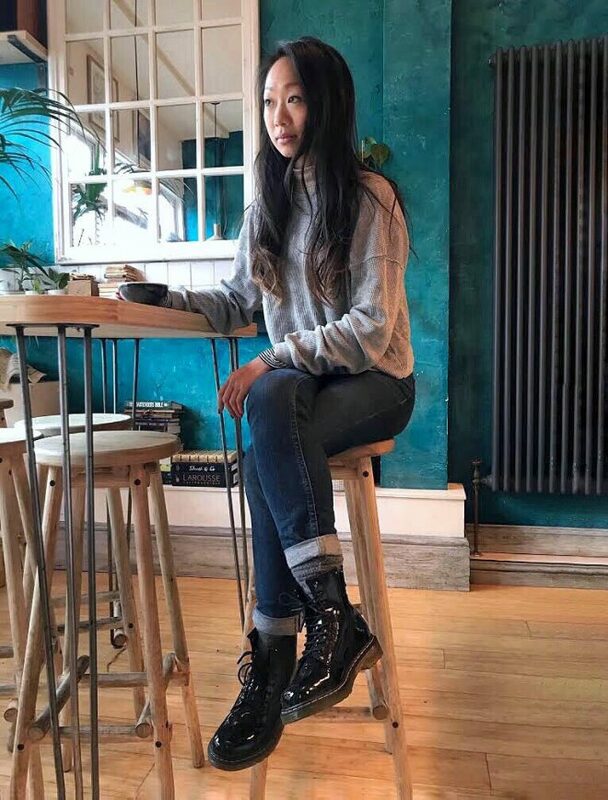 My name is Cyan Wong, I am a British bartender, and I’ve worked in London for 13 years now. My family has a restaurant, so I grew up in hospitality, with food, drinks and lots of happiness. When I left school I went to art school and started working as a design assistant during the day and worked in a bar at night. Then I realised that I was just waiting every day to finish at the studio so I could to get to the bar, so I quit. Even if it was complicated because of the social pressure from my family and even for myself, it took me a long time to accept that you can have a career in this industry. So I decided to leave London and move to Australia to work at Eau de vie in Sydney, then I worked in Melbourne at Mesa Verde (a mezcal and tequila bar-restaurant with a sustainable roof garden). I came back to London and helped to open Original Sin, a cocktail bar in Stoke Newington and after three years there opened Mint Gun Club in the same area in August 2017. The idea behind Mint Gun Club is to escape into an exotic Asian colonial country club thanks to the interior which combines bamboo and bright light. We do a lot of tea here as well, it’s important to bring that back instead of coffee, and it goes with the feeling and the name of the place. We are strong advocates of fortified and aromatised wines with aperitif style cocktails, so half of our menu features drinks like that. In the end, it’s about having a relaxing environment to drink and have a good time. When people ask me what I do, it’s difficult to describe, because there are bars and pubs all around the world where you can find drinks. My role is to find interesting ingredients, but present them in a simple and approachable way. Everyone loves good food, drinks and hospitality and that’s what I try to provide. It’s a difficult question because I have so many ideas I want to do, with so many varied directions. But let’s say that in one hand this bar it’s part of my dream regarding the type of drinks, the culture and the atmosphere. On the other hand, I would like to combine food and drink in a very casual way, which is part of my heritage, for instance: rice and a spirit. It would be a small, warm and quiet bar for 30 people, in a botanical garden in the middle of London, where people could relax and have drinks surrounded by nature with minimalist decoration. I try to get a whole day walking in nature and discovering other cities in the UK, like Scotland or Wales. Gin was my first love to work with but now I am more into agave spirits like tequila, mezcal, raicilla or sotol. I find them very interesting because they have a vintage like wine, depending on the harvest and where they grow. I think it needs to be something primordial, things in harmony with the different flavours. It needs a good name to spread the message. A good cocktail with a bad name won’t work really well. I enjoy using a lot of different teas in my cocktails. I love the healthy aspect and all the ceremonial aspects that surround teas. It brings something to the pallet, but it’s light at the same time. Instead of extra dilution, you can use some tea and it adds an element of flavour and refreshment to the drink. And with different teas, you also have great stories. It’s so easy to make tea and at the same time, it adds so much to a cocktail. You need to go to Botanero in Paris. Here in London go to Scarfes Bar, one of my favourite hotel cocktail menus in the world. Also visit Mandrake, I love the beautiful space they have. And for more local bars, I’d recommend Victory Mansion in Stoke Newington, which has great food and wonderful people. You also have to visit Bassoon where Franck my colleague from St Germain works.